One of the most daunting daily milestones busy singles, couples, families and on-the-go people face is figuring out what’s for dinner. We recognize that deciding where and what to eat, while trying to be health conscious, is an issue for everyone struggling to maintain busy schedules. By educating yourself about personal chef services, you will understand your options and can make informed decisions, knowing that you have done your research and found the best possible arrangement for your needs and lifestyle. Hiring a Personal Chef is a developed personal relationship much like a trusted family physician. 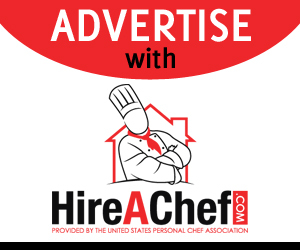 You develop that relationship with a professional Personal Chef by interviewing the Personal Chef and establishing a compatibility. Experience in cooking is key to a successful Personal Chef service. 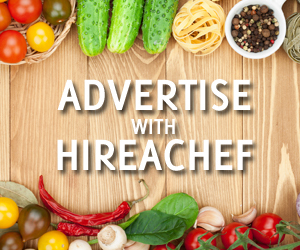 Ask how your Personal Chef has acquired their cooking experience and how their service differs from others. You’ll find that Personal Chefs will have a wide variety of backgrounds. Some began their love for cooking by providing for their families while others polished their skills in the restaurant industry. For many, transitioning to a second career as a Personal Chef is a natural process as it incorporates their passion for food, creativity and cultural background. Knowing more about them can help you decide if they are the professional you are looking to hire. Just like other professionals who come and work in your home, you want to be sure that in the unfortunate and rare event that your Personal Chef’s actions cause injury to you, your family or your property, that your Personal Chef has the appropriate insurance to make it right. Membership demonstrates that the personal chef understands the importance of continuing education through professional affiliation. Personal Chefs should be able to provide references, testimonials and endorsements from contented clients. Asking to review sample menus can provide insight to the Personal Chef’s style of cooking. A sample menu is not always an indication that the Personal Chef will prepare only those types of foods.